While the imminent launch of the Mercedes Benz G Class 2016 edition is a known story, what we didn’t know till now are the specifications and the base price of the vehicle. It has a base price starting at $120,825 which also includes the delivery charges of $925. The offer is applicable for people living in the United States. Powered by a 4.0 liter V8 engine, the SUV is capable of delivering a solid 416 horsepower with 450 pound feet of torque. The engines are twin turbocharger, which is considerably more powerful than the earlier models. However, they are not beasts on the road and may not satisfy those who want a car that could touch a record top speed. Besides, the vehicles are designed for the rugged, long distance riders. The sturdy wagon relies on an all-wheel drive with a renovated body and ladder construction. Based on your daily usage scenario, you can either go for the sports mode or the comfort mode. The mode will determine the type of shock absorbers, seats and baseline installed in the SUV. 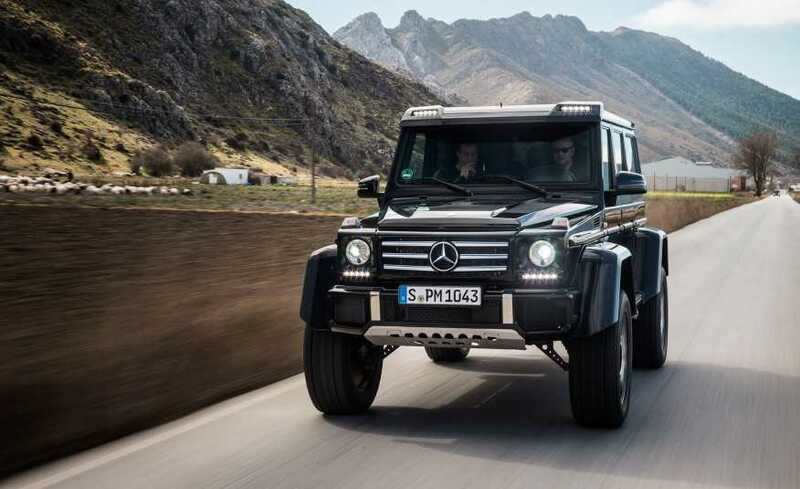 The next variant in the Mercedes Benz G Class 2016 edition is the G63 AMG. The base pricing is at $140, 825 and includes the same transportation charges as mentioned above, in the U.S. The vehicle is powered by a V-8 5.5 liter engine capable of providing 563 horsepower and 560 lb feet of torque. It is capable of reaching 0 to 62 within just 5.4 seconds. Buyers who need the extra horsepower and can afford the increased pricing can go for the G63 AMG. A wide range of color choices is being offered with the 2016 edition of the vehicles, including fruit flavors, alien green among others. While these models are more affordable, Mercedes will also bring in the big guns. The G65 priced at $220, 825 uses a 6.0 liter V12 turbocharged engine delivering 621 horsepower and 738 lb feet of torque. The vehicle is one of the biggest and rugged Benz variants to hit the market soon. These models will be made available worldwide with new ones coming soon.